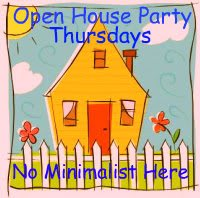 I hope you are doing well and I appreciate you visiting the Open House Party. 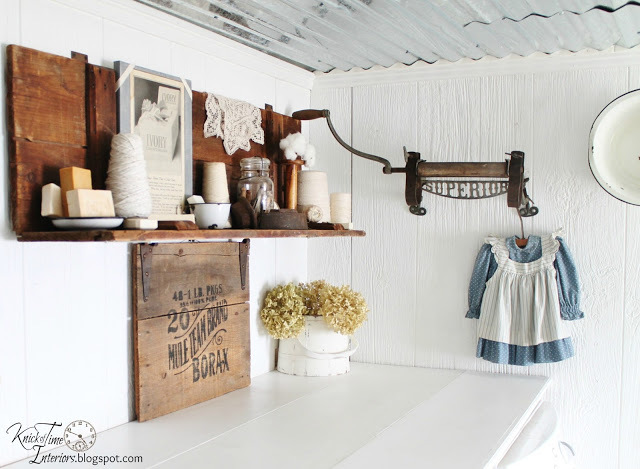 Angie @ Knick Of Time has created the cutest laundry room using vintage items. 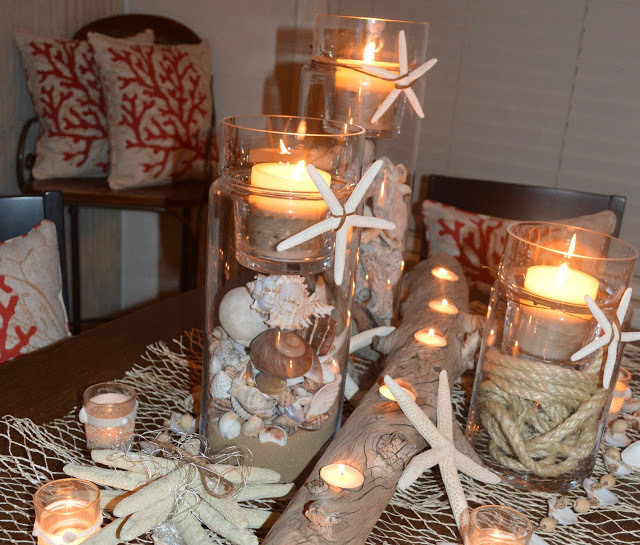 If you like coastal design you will love Heather’s home @ Friendship, Life And Style. her blog for the tutorial. Judy at In His Grip created these gorgeous window treatments. twenty one of the most amazing years as your wife. Thanks you so much for featuring my draperies. I look at your link up every week and find so much inspiration here. Thanks. Thanks for having us over to party again. It's always a great time! Great features. Thanks for hosting…….. Thanks for hosting; off to see the new links and loved the featured spring wreath! Thanks for hosting…love Angie's room. Hi Sherry, I LOVE the features this week, especially the coastal one! Thanks for having this party! Thanks for hosting, Sherry! Hope you have a great week! Hi Sherry! I am a new follower! I would love for you to follow my blog, I am a newbie to the link up parties, if you could explain to me how to "link back" I would appreciate it. I am looking for the kindergarten version! Sherry, Thank you so much for hosting. Great features. Lovely features, Sherry! Thanks so much for hosting! Hi Sherry! I'm so thrilled to be joining in your party this week! 🙂 Thanks for hosting us! Love Angie's, laundry! Just linked up, thanks so much for hosting! Just stopping by to check out the party. Love all the great posts and lovely creations. Thank you for hosting an awesome linky party! Sherry, what a great night! A fantastic party AND an anniversary! Double the fun! Thank you so much for hosting, Sherry. Thank you so much Sherry for another fun party! Thank you for hosting, I linked up and thank you for stopping by my party!! Sherry, thanks for having us each week. This party is always a great one! Thanks a bunch for hosting and for featuring my laundry room, Sherry!! Happy Anniversary to you and your husband! My husband and I just celebrated our 24th on the 15th. Hi Sherry, I hope things are going well for you this week. Thanks for a wonderful party. That laundry room is so cute! Thanks so much for a great party. 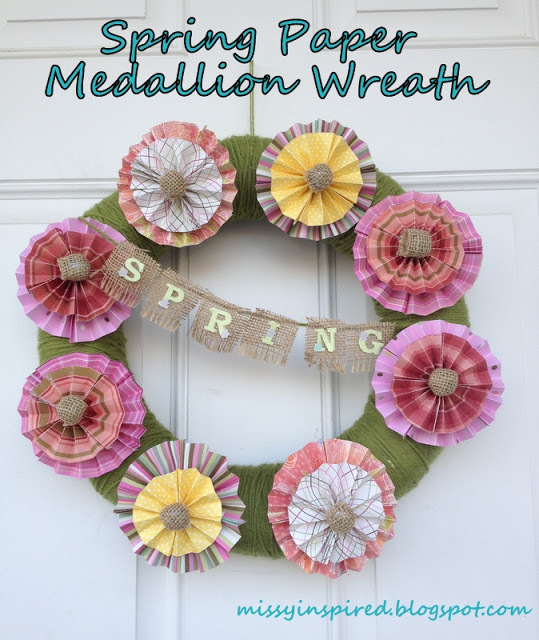 Thanks so much for featuring my Spring Paper Medallion Wreath! Hi Sherry, Thanks for coming by and visiting! 🙂 And thanks for following too. I am already a follower of yours. Even though I'm not joining in this week, I love your Open House party. I learned how to make paper medallions last year. Once I began it was hard to stop. My sister has a pleating board that allows you to score the folds perfectly.I generally use solid papers, but love the ones made with the patterned paper. Sherry, Thanks for hosting another great party! We appreciate all the work you do so we can show off! Have a great weekend! Sherry, Hi, how are you? Great features, I'm off to visit some of your guests! I love your beautiful blog It’s exactly what I was looking for!nice job for posting this.